You remember my friend, Channel, the cutest Bear. She went on a Caribbean cruise with her humans. She sent me this photo. I was scared, but Channel said she loved it. Channel knew her mom would protect her and she would not fall. What a great experience Channel. Thanks for sharing this one. 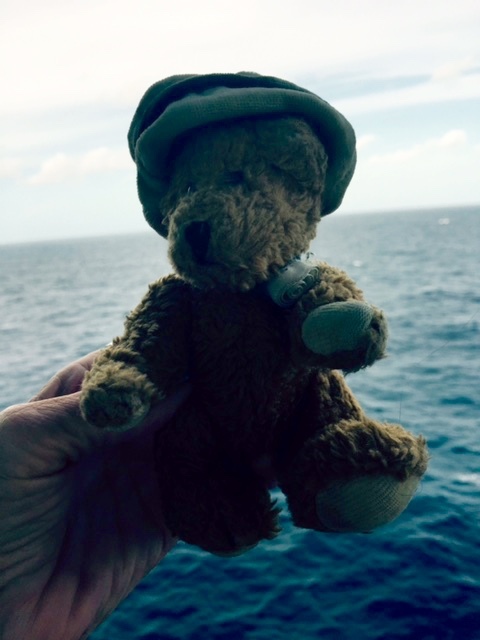 This entry was posted in Caribbean, Uncategorized and tagged Caribbean cruise, Channel the Bear, Colorado Traveling Ducks. Bookmark the permalink.